I hope you are having a wonderful crafty week. I have been busy, and have a lot of things to show you! Not knitting, but related. I have been working on making stitch markers. I love being able to combine beads and wire into a useful item. I have been listing them for sale on ebay, and will be listing some in my etsy shop as well. I hope you will check them out and tell everyone where they can find great stitch markers. Working making my patterns available on Craftsy.com, stayed tuned. A project that has taken several months is finished, pictures will be coming soon. Just had to share this Romper set. Adorable! 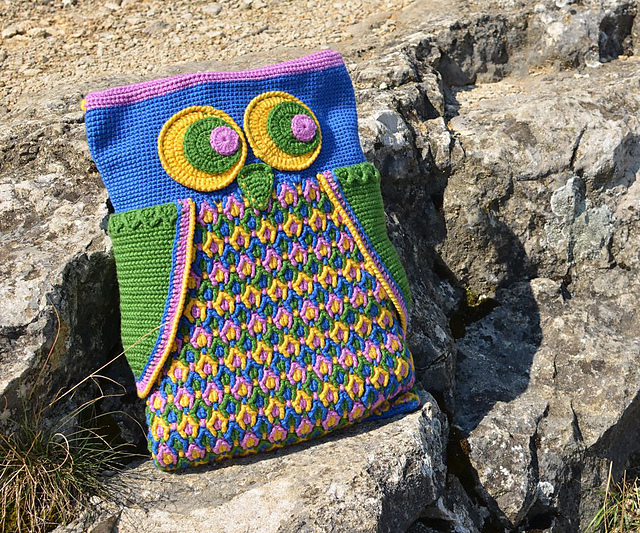 The designer is Marcelline Simonotti and she has other adorable patterns available. 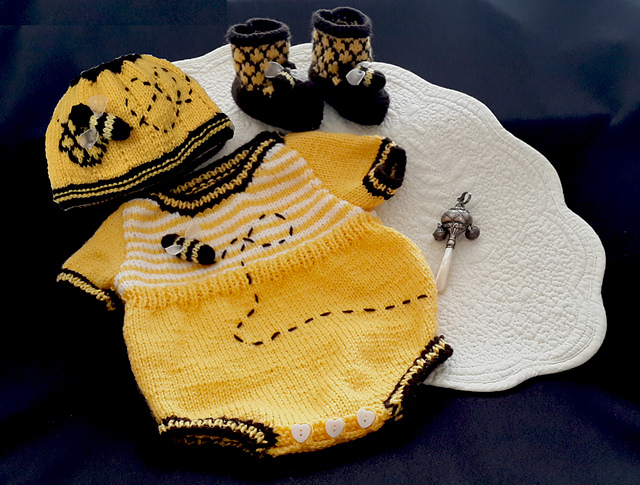 This is the Honey Bee Baby Onesie Romper Set. Just.Skein.Crazy is a blog written about yarn and life in Peru. Great photos, especially the recent one showing women in Peru spinning everywhere they go. The winner of Sarah's Shawl pattern is Elizabeth S.
The winner of the polymer clay giveaway from Fire Mountain Gems is Quinn P.
The winners have been contacted, thanks for entering. This weeks contest is a pattern for Chloe's Heart. Please enter now, the contest ends tonight Wednesday 26, 2015. The end of the book and magazine sale. If you want any of these items, get them now!